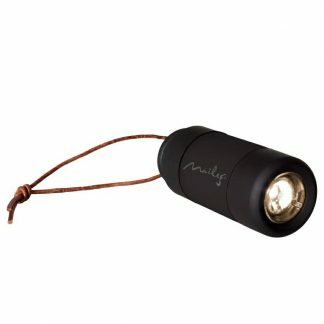 Your little ones will love this adorable Maileg Big Brother hiking mouse. 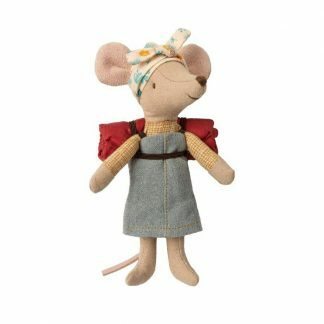 At just 13 cm this sweet mouse is ready for adventure. 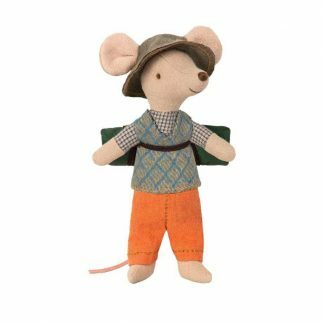 He is wearing a grey and blue v neck sweater, orange trousers and a khaki removable hat and is carrying a green sleeping bag on his back. 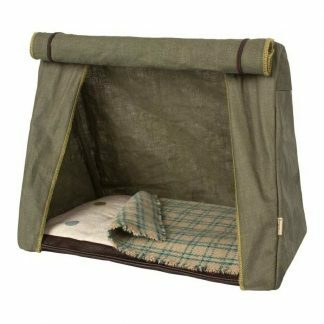 His sleeping bag can be easily removed and is perfect for a warm and comfortable nights sleep. 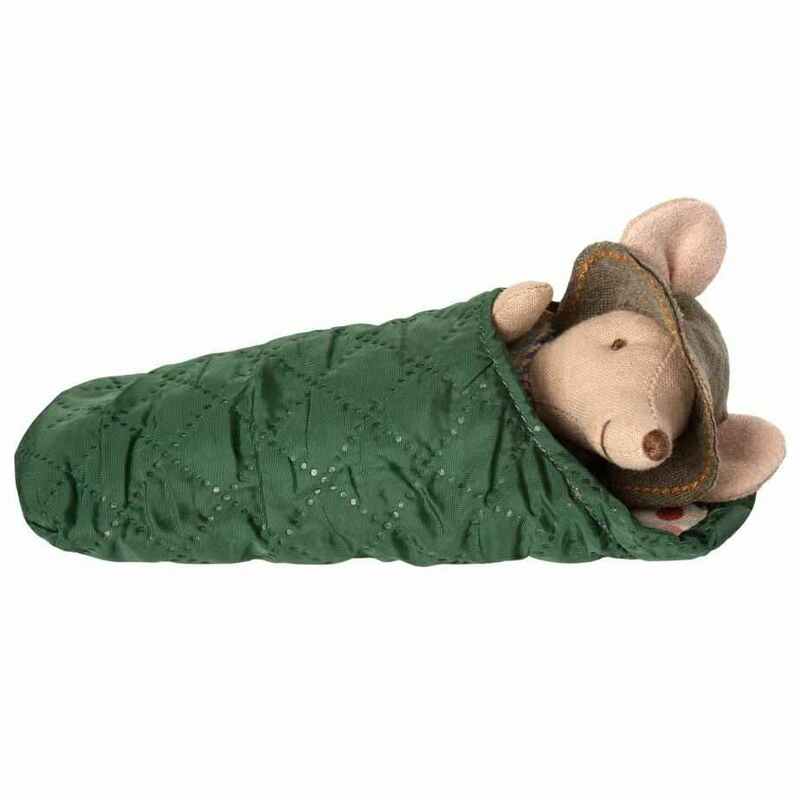 Adventurous Maileg Big brother hiking mouse with green sleeping bag.